Now, the inspiration for the crackers came from our recent trip to the Philippines, yes, I seem to have picked the least Filipino of foods to be inspired by, but I just couldn’t get enough. Plus I feel it’s my job to take a commercially-made biscuit and healthy-it-up a little. The Philippines is a country of many stark contrasts but I always enjoy my time there. This time around, I loved doing a little exploring of my own… First stop – a must in any foreign country I visit, the supermarket. It gives you one of the best insights into the culture of the country, both in terms of the food and how long people are happy to stand in a queue before letting out a number of loud sighs. Based on my experience, Filipinos are a patient folk. It only so happened that Merowyn tweeted this picture of her favourite Filipino crackers, the Sky Flakes, as I was about to head out of the hotel’s wi-fi range. Intrigued, I set out to find them and have a little taste test for myself. But what I’d found in the same biscuit aisle was an even more exciting offering: Jack’n’Jill Magic Cream Combo Peanut Butter Choco Crackers – a crisp, light chocolate cracker with a smooth peanut butter cream and a mouthful of a name. Excited, I pounced on the promotional packet of Buy 10 get 1 free and proceeded to munch on one before I got to the check out. I was onto my second biscut sandwich by the time I’d paid – probably in an attempt to keep myself from said sighing, already trying to work out how to replicate these original cookies back home… I’ve not seen these in Australia, and knew it was my job to spread the delicious concept the world over. Okay, maybe just share it with you, my readers. I was also super excited to visit Makati City’s most central organic food market, Salcedo, searching for local delicacies. I enjoyed all of the mango incarnations available there – fresh, dried and pickled; more barbecue pork sticks and noodle (pancit) buns than necessary. Unfortunately, I couldn’t bring any of those home, but under the watchful eye of one of the expat friends there, I managed to shop up a storm, mainly in the homewares department where I procured a large number of cutting boards, bowls, spoons and plates, 11 kilos of those in total. And yes, for those of you in the know and wondering, I did buy a balut at Salcedo, but didn’t have the courage or heart to eat it… Not sure that I ever will, so for now I will enjoy another couple of these delightful choc & pb crackers. And so should you! If you're not into peanut butter, or are allergic, try them with some creamy brie and sour cherries. Otherwise, use 100% natural or organic peanut butter for the filling. Dairy-free substitutes can be used in place of butter and milk. Gluten free flour can be substituted for regular self-raising flour if you wish. You will need a rolling pin, baking paper and a cookie cutter or a sharp knife. Mix together flour, sugar and cocoa. Add diced butter and process or rub together with your fingers until fine breadcrumbs form. Add milk and honey and mix to form dough. Transfer to a lightly flour-dusted surface and knead for another minute or so, until the dough is nice and smooth. Flatten the dough and place between 2 sheets of non-stick baking paper. Using a rolling pin, roll out until the dough is about 3-4mm in thickness. Cut out your shapes as required, transfer onto a baking tray lined with extra baking paper. Re-roll the scraps and repeat the process. Prick each cracker with a fork a few times. Bake in a pre-heated oven for 10 minutes. Transfer to w wire rack and allow to cool before sandwiching with peanut butter. Mix together organic peanut butter with icing sugar. 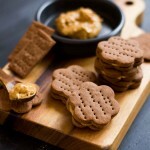 Place about a teaspoon of peanut butter into the middle of half the crackers. Top each with the remaining crackers and squeeze together to stick and push the filling to the edges. Tip: store in an airtight container for upto 1 week. Greek-style smoked olive and lemon lamb shoulder TACOS! They sound great – on the list for tomorrow 🙂 Your photos are amazing too. Thanks Kerryn, enjoy – the kids loved them too, requested extras in the lunchbox! Oh Wow! This is such an amazing post! I wish I could visit the Philippines one day too. I have never tried real Filipino cuisine (no restaurant in my city or maybe in the whole country), but it sounds extraordinary. 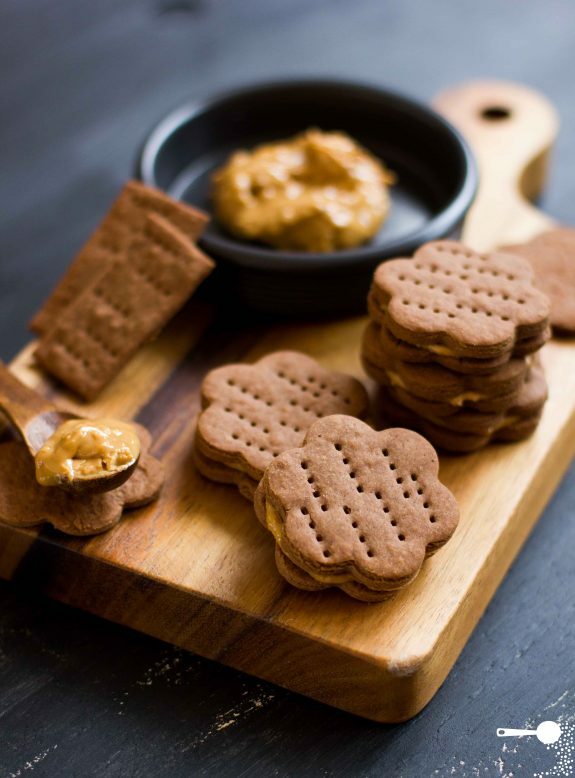 Somehow I cannot start liking peanut butter in sweet dishes (I love using it in Indonesian hot sauces though), but your crackers look so luscious they might change my opinion. stunning. what more can I say? stunning. omg these look awesome. i bet they would be awesome with cookie butter filling, too!!! I made these last night and could thoroughly recommend! They are perfect and what a great story behind how you made them. Super blog! I can see how these would be terribly dangerous – they sound delicious! I like these cookies as they have healthy ingredients. 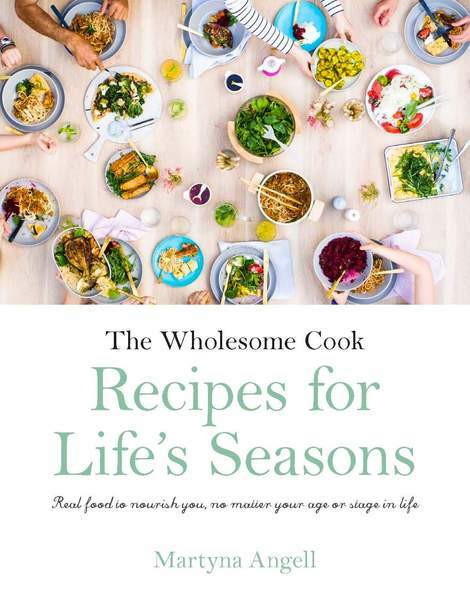 You make this recipe look so easy! I’ve made crackers before but I am not always successful. I’m going to try these! Martyna your crackers look amazing, as do your photos!!! I am always on the look out for some great gluten free options. Thanks for sharing. I am also thinking if you did not have a lactose allergy these would be so good with some icecream inside to make an icecream sandwich. Being non-baker and crumsy I’m not sure if “quick” to make, but I can totally see me being addicted even before trying one piece… looks so pretty and yum. I really love your composition on this photography – absolutely beautiful! Bookmarking this! I NEED to make it. What gorgeous photos Martyna! I just love peanut butter so an going to give these a try! I just saw these on RecipeNewZ. These crackers look amazing! So pretty and crunchy! And easy to make :-). Got to try this recipe! Thanks for sharing!